We are pleased to announce our new layout. The template was initiated by our hungarian translator. We hope you enjoy reading issue 56. "One of our favorite shows for sure, and again we will be there with a lot of people. I’m also happy that Novell sponsors the event, because we think it’s quite important and we like the guys :-)"
"KDE-Team Meeting 21 Jan 2009"
"Minutes from 17. January 2009"
"Kdenlive free open-source non-linear video editor for KDE. Kdenlive is an intuitive and powerful multi-track video editor, including most recent video technologies. It relies on a separate renderer, piave, to handle it’s rendering. Kdenlive is easy to use for all levels of users from novice to advanced video editors. Kdenlive is built upon MLT and ffmpeg frameworks, which provide unique features to mix virtually any kind of media." "Masim Sugianto wrote a nice tutorial about PXE-Boot Installation." "The 2009 CWE/SANS Top 25 Most Dangerous Programming Errors is a list of the most significant programming errors that can lead to serious software vulnerabilities. They occur frequently, are often easy to find, and easy to exploit. They are dangerous because they will frequently allow attackers to completely take over the software, steal data, or prevent the software from working at all. ..."
"KIOSK Admin Tool is a KDE administration tool that offers system administrators an easy way to predefine desktop configurations for groups of users, lock down settings or otherwise restrict features of the KDE desktop environment." "I’m very happy. Regularly i’m checkin the Calendar from news.opensuse.org for my work in OpenSUSE Weekly News. It is possible to Download the actual Calendar as *.ics File. But as i understand this, this is a Snapshot. The Calendar not updated himself regularly. So i tried this:..."
" OpenOffice.org 3.0.1 rc1 packages are available in the Build Service OpenOffice:org:UNSTABLE project." "Qps Visual Process Manager is an X11 version of “top” or “ps” that displays processes in a window and lets you sort and manipulate them. It displays some general system information, and many details about current processes (such as the TCP/UDP sockets in use by a process). Qps runs on Linux and Solaris. 1-Click-Installation available. Otherwise use Packman Repository"
" Banshee 1.4.2 is a stable release with many bug fixes and minor improvements. Fixed and improved are RSS feed parsing, library rescanning, occasional startup freezes, launching on device insertion, several crashers, and improved playback on OS X (still a technology preview/alpha release). Get it now!" 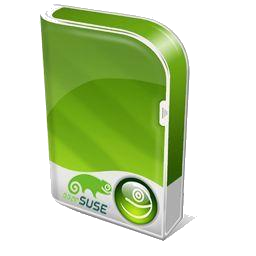 "With openSUSE 11.1 on the road we developers can use some time for new ideas. One idea on my mind for month was to show the dependencies of storage devices in a graph. Using graphviz and QGraphicsScene a first version was running within few days." "Yes people I'm going to FOSDEM (again) :-) I've booked my ferry crossing from Blighty to France and hope to have a pleasant drive over to Brussels. As I mentioned previously I am planning on doing a bit more "Marketing" type pieces; mainly getting my camcorder out for "Face 2 Face @ FOSDEM", this will basically entail me shoving my camcorder in people's faces, asking a few questions etc." "I’m a Geocacher and I’ve bought a new toy, the Garmin Vista HCx. This device has a special function for Geocaching. You have to upload these files directly to the device. It isn’t possible to store them on the microSD." "Today, a long-standing bug in libyui-bindings was finally fixed. libyui-bindings provides SWIG based bindings for Ruby, Python and Perl to access libyui functionality. libyui is the YaST user interface library, allowing to write dialogs in a generic way so they can be displayed in text (ncurses) or graphical (Qt) environments." "In my last blog, I began to outline four aspects of how we achieve our strategy and long-term roadmap. The four areas were: 1.) Leadership. Why our products lead the industry. 2.) Delivery. In the “engine room”—how we build those products, what processes result in leadership, and our commitment to interoperability as a design point in every product. 3.) Incubation. How we take breakout ideas and make them into businesses. 4.) Strategy and Vision. Fossa, our overarching technical strategy. Novell is an industry leader in next generation technologies and standards." "Recently Jozef approached my desk and asked for help with "unsolvable" partitioner problem: during installation, he opened a console and created custom partitioning setup using fdisk. Then, not suprisingly, he wanted the partitioner to discard proposed setup and pick up the one he made. I must have had a blackout at that time (too little coffee, maybe :) ), but I was simply unable to help. We ended up clicking just about everywhere, mostly on "Back" buttons in installation workflow, without much success." Stefan Hundhammer: Tabbed Browsing for Packages"
"Forum moderator oldcpu explains how to convert PAL DVD to NTSC DVD utilizing several CLI and GUI tools available via Packman for all supported openSUSE versions." "openSUSE 11.1 ships with NTFS-3G by default, while writable access to NTFS partitions is initially disabled. To change this behaviour some manual adjustments to your /etc/fstab are required. This forums thread links to a comprehensive howto of our forums moderator swerdna, you should be aware of if you have to deal with this task." "Based on the work of rdesktop, xrdp uses the remote desktop protocol to present a GUI to the user." "DivFix++ is a free opensource GUI utility to repair/fix broken AVI files. DivFix++ is designed to repair broken AVI file streams by rebuilding index part of file. This is very useful when trying to preview movies which has no index part." "KBasic is a new programming language similar to Visual Basic. It combines the best features of those tools and comes with built-in backward support for those tools as it is 100% syntax compatible to VB and QBasic. It is written with Qt making it entirely cross platform. The Full Version Professional Edition is available to download for KDE now. It follows the old Qt licencing of being GPL licenced for Free Software and commercially sold for proprietary software." "This blog entry is a little bit OffTopic. I’m writing not about an openSUSE Theme, but about Linux. Last week i’ve chatted with the guys in #coreboot @ freenode and it was very interesting. This article based on an collaborative PR Project from Carl-Daniel Hailfinger. This first Part of the Article presents Flashrom. The next Article presents Coreboot...."
lists.opensuse.org has 36466 (-17) non-unique subscribers to all mailing lists. The openSUSE Forums have 20663 (+521) registered users - most users including guests ever online was 7771, 02-Dec-2008 at 17:31. 2222 (+50) of 4402 (+360) registered contributors in the User Directory have signed the Guiding Principles. The board has acknowledged 260 members. The Build Service now hosts 5059 (+45) projects, 60486 (+338) packages, 9883 (+108) repositories by 11768 (+128) confirmed users. This page was last modified on 8 July 2010, at 11:05.